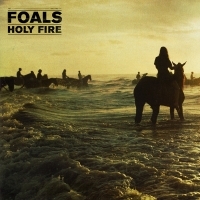 Who knew a four-piece rock band from Bedford could make such a massive impression with their début album. 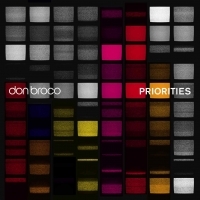 That is the best way to describe Don Broco's first album Priorities; it is a début album, on epic levels. Perfectly showing the world just what the boys are about: simple, catchy light rock beats that will get caught up in your head for hours on end. Despite her role as the handmaiden of the recent British folk-pop revival, Laura Marling’s third album still seems to mystify and estrange. If you’re hoping for answers to the world of Laura Marling in this album, you’ll be disappointed. In the “keep them questioning” spirit of Bob Dylan, the album seems tantalizingly inscrutable and sometimes even frustratingly distant. Finally back on his feet from codeine-induced seizures that left him seriously hospitalized, hip hop artist Lil Wayne releases the sequel to his 2010 album I Am Not a Human Being. 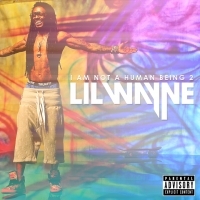 Yes, you guessed it, I Am Not a Human Being II. As one of the most recognisable and biggest-selling artists on the planet, perhaps unfortunately for some, this release is pretty much impossible to ignore. Two years since Wall of Arms, the Maccabees’ much-anticipated new album Given to the Wild is one to watch out for. Including an array of tight and adventurous tracks, it seems The Maccabees have truly hit their stride with this immaculately crafted album, which has taken the band in a far more interesting direction than their previous two. The complex layers within ‘Child’ and ‘Feel to Follow’ bear no resemblance to the sprightly nature of classics such as ‘Latchmere’ and ‘First Love’. It would be interesting to see how the new mature and astute sounds would translate into live performance. Primark, Adidas: Are We Becoming Desensitised To Scandals?